This article originally appeared on the Ethics Centre blog. For all of the talk about the importance of leadership, relatively few resources are applied to its support and development. Rather, the bulk of investment flows into building and maintaining the infrastructure of management and control. The scale of this investment in regulation and surveillance is easy to underestimate. For example, government regulation is just the tip of an iceberg of which private sector compliance programs make up the larger part. As such, some of the most prolific rule-makers in the land sit at the nation’s board tables. Fearful of their own liability and hungry for certainty, company directors feed (and are fed on by) a narrowly conceived culture of compliance. Of equal concern is the way in which organisations are led to disguise their real preferences by applying comforting (but misleading) labels to their programs. The fact that a management program has the word “leadership” in its title does not make it a leadership program. Yet programs of this kind abound. This observation is not meant to suggest that there is no longer a need for strong management programs. In fact, the opposite is true. However, if organisations are ever to realise their full potential, the technical competence of managers needs to be reinforced by the art of leadership. That we do not do so, in any extensive or meaningful way, is due to a number of factors not least of which is, as noted above, the fear of personal liability amongst people in positions of power and authority. In some respects their fear is well founded. Society has recoiled against an earlier period in history when people running public and private sector organisations seemed to be beyond the reach of accountability, no matter how terrible the consequences of failures in governance. Unfortunately, society’s response has been largely unidirectional; placing the majority of its eggs in the “regulation and surveillance” basket. This has stimulated a vicious cycle in which those subject to these controls have replicated the approach, across the system as a whole. Dr Simon Longstaff says good leaders may need to cope with unpopularity to challenge "unthinking" actions. However, there are two deeper issues to consider. First, it may be that society has lost faith in the power of good leadership to shape events for the better. That is, rather than rely on the qualities of people, society has thought to “engineer out” their frailties by creating a system that is so finely regulated as to prevent any person from choosing to do what is wrong. Rather, if all comply with the technical demands of the system, it is assumed, “bad things” will not happen. While this kind of thinking is understandable, borrowing as it does from utopian/dystopian fantasies (depending on your world view) of risk-free and perfect certainty, it stands in contrast to what we know of reality. Furthermore, the model of the “finely-regulated system” contains within it the seeds of its own failure. Rather than eliminating risk, such a system increases systemic risk (risk to the system as a whole) by reducing the capacity of any single actor to make good decisions when the system is sub-optimal in its performance. The best analogy that I can think of for this risk is that of putting a person into a full-body plaster cast as a way of ensuring that they maintain a straight and steady posture. To the casual observer, this will seem to be a model of stability. However, unseen within the bounds of the cast, the person’s body will be changing; muscles wasting away to nothing for want of use and bones losing their load-bearing capacity. The more perfect the performance of the plaster cast, the more the degradation within. Should the plaster cast fail, the body within will be doomed to collapse. Of course, everyone knows that this true, even those who design, build and maintain the plaster cast. Their response is to patch, reinforce and refine the plaster cast. However, there may be a second factor that limits our investment in leadership. Apart from not trusting the variable human dimension to leadership, it may also be that we no longer really understand what leadership involves and requires. It is this issue that will be addressed in the remainder of this article. The most potent enemy of ethical leadership is unthinking custom and practice. There are many definitions of leadership from which to choose. The one that I find most compelling forms part of the doctrine of the Australian Defence Force. The ADF defines leadership as, “The exercise of influence in order to bring about the willing consent of others in the ethical pursuit of missions”. I like this definition for a couple of reasons. First, there is the emphasis on influence and consent. There is nothing here about the exercise of power or insistence upon compliance. Second, it is striking that the military conceive of leadership as an ethical practice. That is, they do not aim to treat the ethical dimension as something that is to be “bolted on” to leadership, as an “extra” (optional or otherwise). Rather, ethics is an integral (and integrated) part of leadership. The reason for this is not hard to discern. There is a telling maxim in military affairs, “no plan survives first contact with the enemy.” The profession of arms intersects with a world of rapid change, unpredictability and lethal consequences. If you do not manage risk, then the consequences are not merely some dent to the “bottom line” but quite possibly death or injury. Such hard facts concentrate the mind. The military have learned that this is why leadership, as defined above, really matters. When all of the carefully constructed systems and structures have broken down, the only thing that may stand between success and failure will be those human factors embedded in the quality of leadership. Of course, it must be noted that the world of the military is one of extraordinary contexts and demands, in many a world apart from ordinary world of civilian life. Yet, for all of the very real differences, we should not ignore a core lesson, that the most effective way in which to manage risk is to invest in ethical leadership. But what does such leadership involve? What does it require of those who would lead? And are there any core lessons for leaders? In my opinion, good leadership is built on twin foundations: strategic vision and moral courage. The ability simultaneously to “see” a situation at multiple levels. There is the “satellite” level that reveals the larger picture within which specific issues are located. There is the “submarine” level that reveals how specific issues are affected by “undercurrents” that shape the operating environment. Finally, a leader with strategic vision sees things in the moment, being entirely “present” to those dealing with specific issues or an evolving situation. As one might recognise, it takes a particular “presence of mind” to operate simultaneously at all three levels. Yet this is something that good leaders can be trained to do. The ability to employ a kind of empathetic “moral imagination” that places a leader in the shoes of key participants including, supporters, allies and foes. The capacity to “read oneself” into a situation, to see events as others might see them and to understand the implications of these perspectives, is of considerable advantage to leaders. An important function of a leader is to bring such insight to bear on a situation as to enable and encourage others to proceed down paths that would otherwise remain obscured or closed to them. Being able to simultaneously “see” a situation at multiple levels and employ “moral imagination” gives rise to a third ability: the ability to perceive (or sometimes to create) “inflection points”. Inflection points are best understood as presenting opportunities to redefine the conditions under which success might be achieved. Those who perceive or create inflection points are not bound by a fixed description of a particular situation. Instead, they are more likely to see apparently fixed points as variables that can be reconfigured to provide new opportunities. Put simply, strategic vision allows leaders to see new possibilities not apparent to others. The other foundation for leadership, moral courage, is made necessary by the fact that many individuals and organisations prefer the comfort of the familiar, even if “the familiar” is outmoded and dangerous. Those who would lead must be prepared to challenge patterns of unthinking custom and practice that typically define the environment in which they work. In most cases, if you ask people to explain their conduct, the typical response will be that “everybody does it this way” or that it is “just the way we do things around here”. That is, people will be either unwilling or unable to link what they do to a clearly articulated and understood framework of purpose, values and principles. Usually this tendency will be relatively harmless in its effects. However, in some cases, unthinking custom and practice will expose an organisation to risk if not ruin. And when all of the damage is done and people are asked to explain why they engaged in such ruinous conduct they will say, truthfully, that they did not see the risk at the time. Instead, what they saw will have been a world viewed through a limited lens, the lens of “the familiar”. It is against this background that one of the defining roles of a leader is to engage in and foster acts of “constructive subversion”. Constructive subversion undermines unthinking custom and practice by questioning the basis for perceiving the world through the eyes of and of acting according to “the familiar”. Such acts of subversion are not destructive because the task of a good leader is to help each organisation to become more like the thing it says that it wants to be. That is, leaders are not supposed to impose upon an organisation a personal or idiosyncratic view of what it should be. Instead, their task is to serve a defining purpose within a governance framework with core values and principles at its heart. To do any of this, not least to question the often long-established precedents of unthinking custom and practice is to invite the disapproval of those with an investment in the status quo. Whatever the organisational structure, there is likely to be a majority who protect “the familiar” and who will resist those who seek to probe and expose its limitations. That is why leaders need to draw so heavily on a reserve of moral courage. This is not to suggest that people should be reckless in their style of leadership. Good leaders are not required to throw themselves onto the “funeral pyre of integrity” whenever the opportunity arises. Effective leaders understand that there is more to be achieved than a few beautiful sparks arising from the embers of their career. While there will be times when a stand must be made as a matter of principle, leaders will draw on their capacity for strategic vision by sensing, by seeing how and when to prosecute a particular course of action. Thus moral courage, like all virtues, requires a leader to discern the “golden mean” that exists between the twin poles of rash and foolhardy action and the procrastination of the coward. Earlier, I proposed a distinction between the techniques of management and the art of leadership. I noted that both capacities are valuable – even essential – arenas for human development, but suggested that our society does a poor job of investing in leadership. Instead, we seem to be inclined to “re-label” management programs with the word “leadership”, and pretend that the issue is being addressed. A sure sign of a mislabeled program will be that it is structured around exercises that take place within a formal learning environment. Having spent over two decades working with and developing leaders, I am convinced that the art of leadership only emerges as a result of experiential learning. Learning of this kind tests and refines a person’s leadership capacity within a crucible of “embodied experience”. Understood in these terms, authentic leadership programs work over an extended period of time, exposing their participants to a range of experiences that challenge them physically, intellectually, emotionally and spiritually. Ideally, participants meet each challenge and, in doing so, come to recognise their own latent capacity to lead when called upon to do so. The process of self-validation that comes about within a well-structured program is essential. A notional leader can have all of the technical skills in the world yet lack the self-belief necessary to risk taking up a leadership challenge. This article is not the place to outline the kind of “curriculum” that is better suited to the task of developing effective leaders. However there is nothing especially mysterious about the process. Indeed, the only real mystery in developing and implementing programs that build effective leaders is that so few organisations invest adequately in the task. Instead, most organisations adopt the comforting myth that leaders can be made “on the cheap” and in a matter of weeks, largely spent within a training room. Becoming a leader, regardless of one’s formal role in an organisation, requires time and practice, ideally accompanied by a small, supportive group of others making the same journey. Along the way, good leaders pick up some essential skills, including an ethical literacy that can be used to explain and inspire across varied audiences. The most potent enemy of ethical leadership is unthinking custom and practice. It is this that leads otherwise good persons to participate in or to tolerate evil deeds. Thus, an ethical leader will always seek to look beyond conventional morality in favour of the application of an ethical framework that is based on personal reflection and is authentically held as the basis for living a responsible life. Ethical leaders are actively engaged in acts of “constructive subversion”, subverting unthinking custom and practice in order to build organisations and communities that increasingly become more like the thing that they say they ought to be as flourishing human communities. To lead in these terms is to court unpopularity, often from all quarters where the majority will prefer simple certainties and a quiet life based around comfortable habits. Thus the need for leaders to possess an unusually high degree of moral courage, as must be drawn on when even the leader may be plagued by genuine doubt about how best to proceed. These are the attributes that inspire others to follow, willingly–even to a point of personal sacrifice. This is what lies at the heart of ethical leadership … the art of doing. 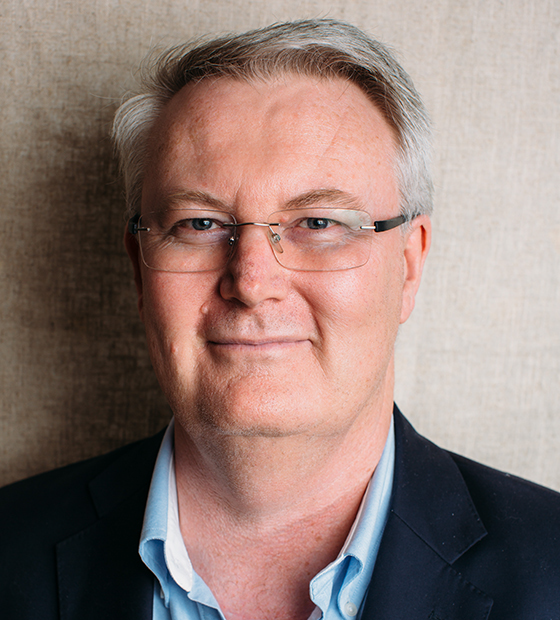 Dr Longstaff AO is a member of the Our Community board, has been Executive Director at The Ethics Centre for 27 years, is a Fellow of CPA Australia was appointed an Honorary Professor at the Australian National University at the National Centre for Indigenous Studies in 2016. This article was first published by The Ethics Centre in 2014.